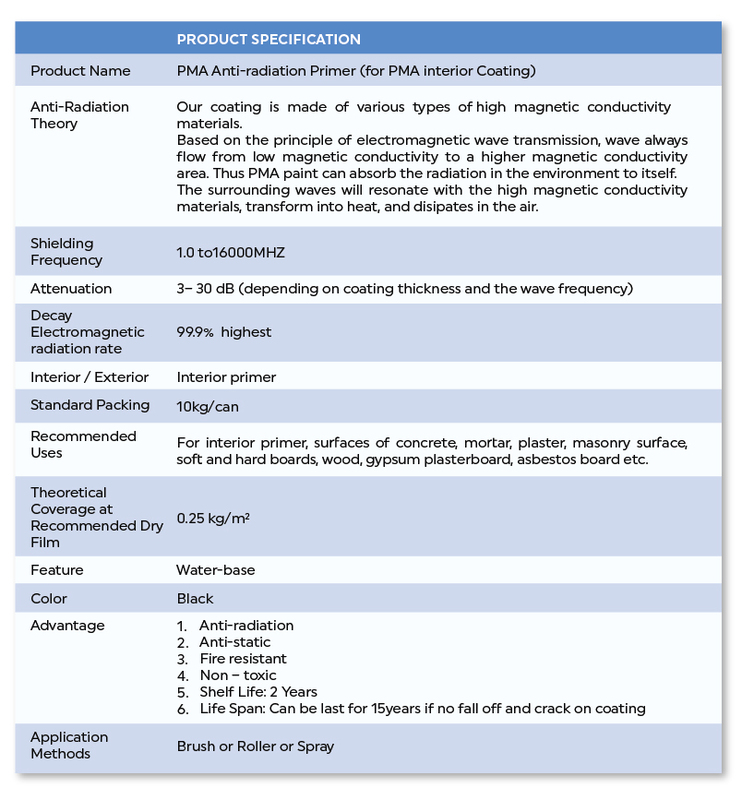 PMA Coating is a kind of special coating which is mode of high magnetic conductivity ferrite polymer, which can successfully reduce the electromagnetic radiation. It can also absorb formaldehyde. Strong fire resistance and anti-static.